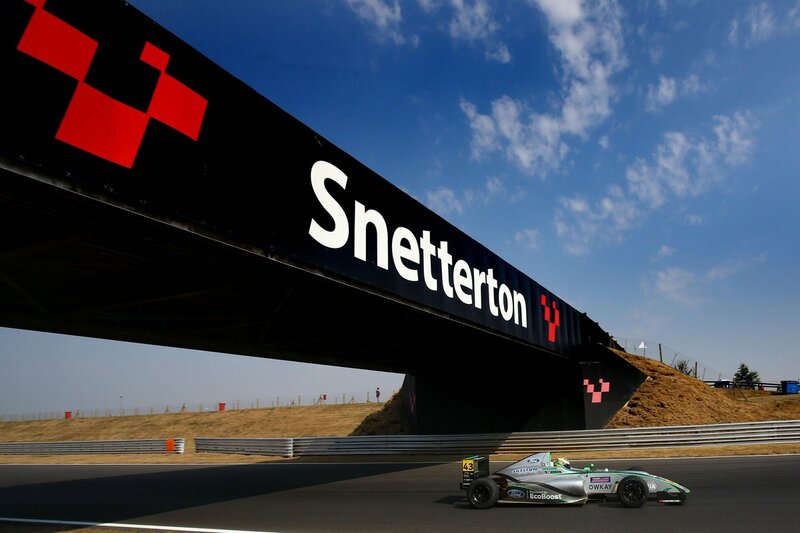 Friday was a very hot sunny day where we would head out on track for two 50 minute test sessions. In the first session we didn’t have any new tyres so knew it was going to be hard, but we set our targets to be as consistent as possible and be as quick as possible with the setup and tyres we had. We ended the session P8 which we were very satisfied with. In the second session we were hoping to improve on the time that we had set in the morning session when we put the new tyres on. Which we did, but this time only put us P10 on the leader board. But we were happy with the speed that we had shown, and looking forward to going into qualifying on Saturday morning. Saturday was a busy day as we had the qualifying session and two races. In qualifying we went out and at the halfway point we were lying in P3, but then the red flag came out. When the session restarted for the last 10 minutes I didn’t get the best out of the tyres and dropped down to P11. We would be starting P11 for Race 1, and P10 for Race 3. We set our aims for Race 1 on the reverse grid Pole for Race 2. After making a good start and making my way forward up the grid, at the halfway point of the race we would be in P5 and then dropped back to P6 a little later in the race. But this meant we would be reverse grid Pole for Race 2, but around 3 laps from the end the driver just in front spun and slid across the track.I hit him meaning a loss of position and damage to the front of the car. I would end this race P9. Race 2 I started the race and by the end of the first lap was up to P5. Around midpoint in the race I got ran wide and dropped back to P7 where I would work hard to keep that position for the rest of the race, taking 3rd Rookie. Sunday we had just the one race and was looking interesting as the circuit was very wet. But moments before we went out however, it started to dry so slick tyres it was. After struggling for traction off the start – on a wet patch of the track – we dropped to P12, but later made my way to P9 by the end of the first lap. But on the second lap we hit another wet patch and ended up off the track. 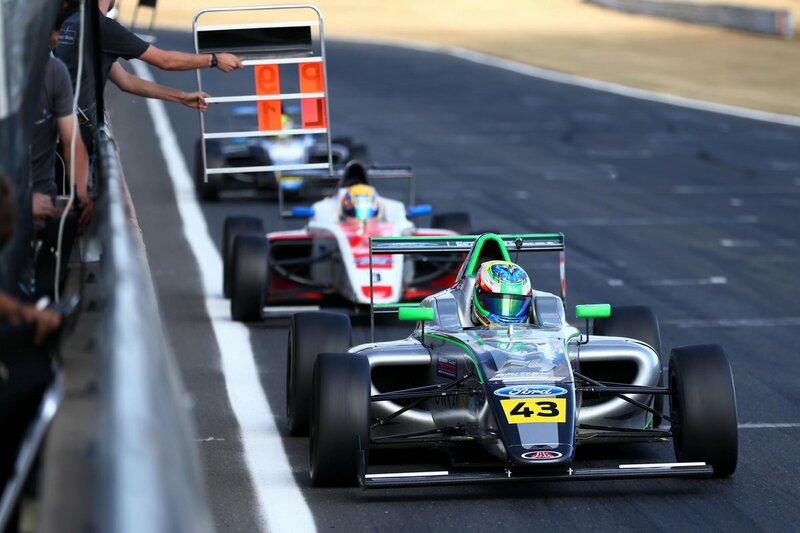 I had to come into the pits in the end due to engine overheating meaning a P12 finish. Overall we had a good weekend and showed some good speed over the races. I would like to say a big thank you to JHR Developments and everyone else involved. 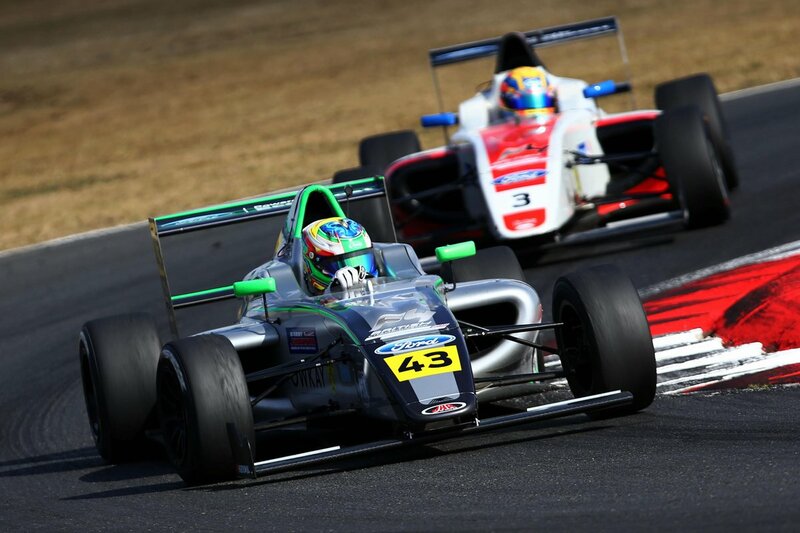 The next round of the British F3 Championship is at Rockingham in a weeks time.